Today, the sculpture of "Man" is located on the Belvedere on the north shore of Île Sainte-Hélène, facing the river. The work of Alexander Calder, one of the 20th century's greatest sculptors, this "stabile" was a gift from the International Nickel Company. 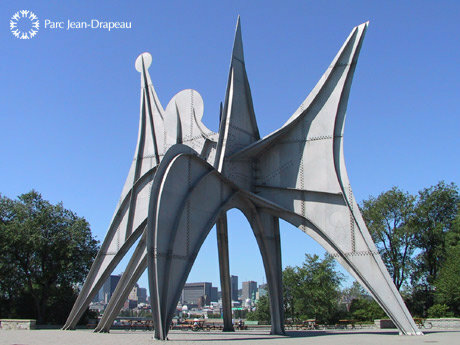 It reflects the theme of Expo 67, "Man and His World."